Frank Langella was born in 1938 in New Jersey. He received his first award for acting while still studying at Syracuse University. He celebrated one of his biggest Broadway hits in the 1970s with the new staging of Bram Stoker’s “Dracula”. Langella made his on-screen debut in DIARY OF A MAD HOUSEWIFE, an appearance that brought him the National Board of Review’s Best Actor Award and a Golden Globe for Best Newcomer Actor. 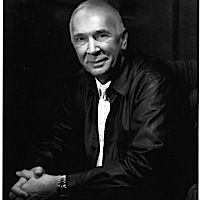 Frank Langella has performed in over 30 films and has produced and directed various works for stage. His brilliant performance in „Frost/Nixon“, where he played the recently resigned president, won him a Tony Award for Best Actor. The identically titled film adaptation brought the star a Golden Globe and his first Oscar Nomination. Carlos Cuarón was born in 1966 in Mexico City where he studied English literature at the UNAM. 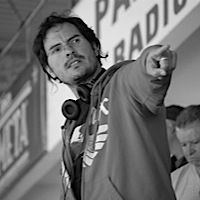 He made his directing debut in 2008 with RUDY Y CURSI, starring Gael Garcia Bernal and Diego Luna. In 2001, he wrote the screenplay for the international blockbuster Y TU MAMA TAMBIEN. He also wrote the screenplay for José Luis García Agraz´ EL MISTERIO DE TRINIDAD, which, amongst other films, brought him innumerable nominations and awards. In addition to realising feature films, Cuarón has written and directed nine short films. He is well known in Mexico as a playwright and writer of short stories. Cuarón has also left his mark as a producer with Niels Mueller’s THE ASSASSINATION OF RICHARD NIXON. Together with René Castillo, Carlos Cuarón founded a production company in 2007. Barry Gifford is a US-American author and screenwriter. He has received awards for his work from PEN, the American Library Association and the Writers Guild of America. His „Sailor’s Holiday“ and „The Phantom Father“ each received the New York Times’ book of the year award while the Los Angeles Times declared “Wyoming” its novel of the year. „Night People“ received the Premio Brancati. Barry Gifford has written librettos for operas by Toru Takemitsu, Ichiro Nodaira and Olga Neuwirth. His works have appeared in the New Yorker, Esquire, La Nouvelle Revue Française and El País. He also penned the screenplays for David Lynch’s WILD AT HEART and LOST HIGHWAY, Matt Dillon’s CITY OF GHOST, Amy Glazer’s BALL LIGHTING and Lucian Georgescu’s THE PHANTOM FATHER. Julia Solomonoff was born in Argentina and currently lives in New York. She graduated from Columbia University’s film department and is now employed there as a lecturer. Her film THE LAST SUMMER OF LA BOYITA (2009) won her more than a dozen international awards. Her first feature film SISTERS (2005), was created in part at the Sundance Writers’ Lab. COCALERO (2007), a film directed by Alejandro Landes and produced by Solomonoff, traces Evo Morales’ path to becoming the president of Bolivia. Solomonoff has also collaborated on various TV production projects, including CHIN CHON FAN and THE SUITOR. She has won several awards for her short films. In 2009, she was an adviser for Canal Encuentro, Argentina’s state education channel. A graduate in political and media sciences and communication, the native Dutchwoman Sharon Swart began her career as a reporter and producer for the Dutch branch of RTL Television. She later became a news journalist in San Francisco. Following a four-year stint at The Hollywood Reporter in Los Angeles, she now contributes to the columns of the renowned industry magazine Variety. 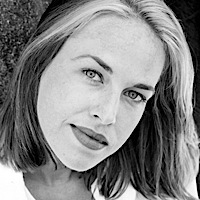 Sharon Swart, who also left her mark as an author in the film magazines Filmmaker, Harper’s Bazaar and Esquire, was one of the first US journalists to analyse the Reality-TV phenomena of the late 90s. She has collected jury experience at the Sundance, CineVegas and Stockholm festivals. Sharon Swart is an active member of FilmAid, a charitable organisation engaged in providing aid for refugees. Born 1971 in Zurich, Anatole Taubman studied at the renowned Circle in the Square Theatre School in New York. He has appeared in more than 50 cinema and TV productions and took the lead role in the award-winning Swiss film MARMORERA. Taubman has also appeared in CHANEL&STRAVINSKY, TAKEN (96 HOURS), the US TV series THE TUDORS II, the German-Swiss co-production MEIN NAME IST BACH and the BBC series WAKING THE DEAD - PIETA. He is remembered as the villainous Elvis in Marc Forster’s Bond film A QUANTUM OF SOLACE. Taubmann’s newest productions include THE PILLARS OF THE EARTH, LARGO WINCH II-THE BURMA CONSPIRACY and CAPTAIN AMERICA-THE FIRST AVENGER. 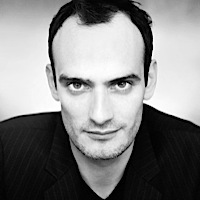 He was nominated for the Swiss Film Prize’s Best Supporting Actor in 2004 and won the 2008 Prix Walo for Best Actor. 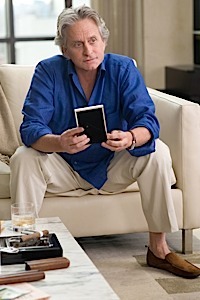 The actor and producer Michael Douglas is one of the few artists to have received an Oscar for Best Film and Best Actor. Michael was the producer of Milos Forman’s masterpiece ONE FLEW OVER THE CUCKOO'S NEST (1976), which won Best Film. He received the Oscar for Best Actor for his leading role in WALL STREET (1987). He became one of the world’s most celebrated actors after his performance as a broker in WALL STREET. Further hit films include FATAL ATTRACTION (1987) with Glenn Close and BASIC INSTINCT (1992) with Sharon Stone. Michael Douglas has taken on other character roles in films like THE WAR OF THE ROSES (1989), again with Kathleen Turner, FALLING DOWN (1993), in which he plays a gun-slinging petit bourgeois, and alongside his second wife Catherine Zeta-Jones in the drug-related drama TRAFFIC (2000). 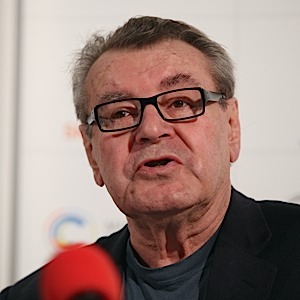 Milos Forman became known around the world for his film ONE FLEW OVER THE CUCKOO'S NEST (1976) with Jack Nicholson, and AMADEUS (1984), a biopic about Mozart. Forman has since been regarded as one of the most successful directors in film history. Born near Prague in 1932, Forman first attracted attention with his films LOVES OF A BLOND (1965) and THE FIREMAN’S BALL (1967), in which he casts a critical eye upon Czech society. He emigrated to the USA in 1968 after the suppression of the Prague Spring. His Oscar-winning successes were followed by the film version of the musical HAIR (1979) and THE PEOPLE VS. LARRY FLYNT, a film about the publisher of Hustler magazine, which received the Berlinale’s Golden Bear. Born 1972 in Vienna, Jessica Hausner first studied psychology before taking up directing at the film academy in Vienna. She realised her first short film FLORA in 1996, which won her a Pardino at the Festival del film Locarno. Her thesis film INTER-VIEW won the Cinéfondation’s Prix du Jury at the 1999 Festival de Cannes. 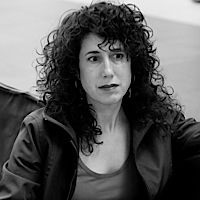 Hausner attracted international attention in 2001 with her film LOVELY RITA, an impressive study of everyday unrelatedness. She bravely tackled the psychological thriller genre with HOTEL in 2004. Her film LOURDES was invited to participate in the 66th Venice Film Festival’s competition and won the FIPRESCI award. LOURDES also won Best Feature Film at the 47th Viennale. Jessica Hausner co-founded the Viennese film production company coop99 in 1999. Born in 1970, Christof Neracher is the manager and co-owner of Hugofilm, a production company that celebrated international success with Fredi M. Murer’s feature film VITUS (2006). 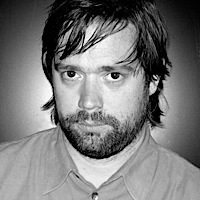 He has worked as a producer on Pipilotti Rist’s PEPPERMINTA (2009), Bettina Oberli’s TANNÖD (2009) and Men Lareida’s JO SIFFERT – LIVE FAST, DIE YOUNG (2005). Neracher’s career began as a freelance lighting technician. He spent four years working as a production manager in the event and theatre business before completing a two-year post-graduate study in management in 2000. He worked for the Expo.02 from 1999 until 2000. Neracher participated in Producer on the Move at the 2006 Festival de Cannes. He is a board member of Swiss Films and executive member of ACE (Ateliers du Cinéma Européen). Born 1958 in Zurich, Christoph Schaub was a member of the Videoladen Zürich and founding member of Dschoint Ventschr AG. 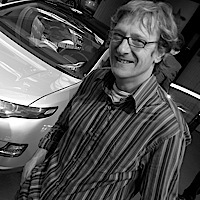 He taught film/video realisation at the Höhere Schule für Gestaltung and the F+F School in Zurich from 1996 until 2004. He was the artistic director of Expo.02’s ONOMA and vice-president of the Swiss Filmmakers Association. He later became a member of the Schweizerische Filmzentrum. He has been a board member of the Zürcher Filmstiftung since 2005. Schaub co-founded the Morgental cinema and was involved in the founding of the RiffRaff and Bourbaki cinemas. Known to the public as the director of GIULIAS VERSCHWINDEN (2009), JEUNE HOMME (2006) and STERNENBERG (2004), Schaub’s films are praised nationally and internationally by the media and audiences alike. Born 1974 in Stuttgart, Frieder Wittich earned his spurs as a cam assistant for SAT.1. He worked for ZDF and SAT.1 as the co-author of Krystian Martinek in the field of TV drama and co-wrote the screenplay for EIN STARKES TEAM. 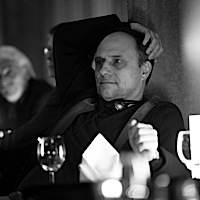 Wittich completed his directing studies at the University of Television and Film Munich in 2005. He has realised ad spots for DaimlerChrysler, Swisscom and McDonald’s. Wittich celebrated his film debut at last year’s Zurich Film Festival with 13 SEMESTER (2009). His short films MOSQUITO (1999) and OPUS (2002) received awards in Bayreuth, Bamberg and at the Arizona International Film Festival. Wittich has won the Porsche Award, the Kurz & Schön Award, the First Steps Award and twice gold at the Spotlight International Advertisement Film Festival. Johanna Wokalek gave her debut theatre performance in „Alma – A Show Biz ans Ende“ under the direction of Paulus Manker, which was later adapted for television with Wokalek. She has since appeared in various stage productions for which she received the Alfred-Kerr-Darstellerpreis in 1999. Wokalek is also extremely active as a film actress having made her debut in 1998 in Max Färberböck’s film AIMÉE UND JAGUAR. She received the 2003 Bavarian Film Award for her moving portrayal of Lene in HIERANKL, the Adolf-Grimme-Preis followed in 2006. 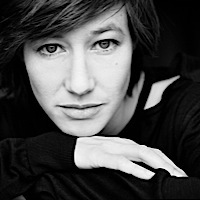 Johanna Wokalek played RAF terrorist Gudrun Ensslin in Uli Edel’s DER BAADER MEINHOF KOMPLEX (2007) and received Bambi’s Schauspielerin National for her performance. In 2008, she appeared in Sönke Wortmann’s DIE PÄPSTIN, and in several TV series. Jennifer Fox is an internationally sought-after director, producer and camerawoman. Her debut film BEIRUT: THE LAST HOME MOVIE (1987) was screened in 20 countries and has won several prizes, including the Sundance Festival’s Best Documentary Film in 1988. The New York Times and other publications ranked the AN AMERICAN LOVE STORY series, produced, directed and shot by Fox, amongst the top-ten series of 1999. Jennifer Fox’s six-part FLYING CONFESSIONS OF A FREE WOMAN celebrated its premiere at the 2006 Amsterdam International Documentary Film Festival. She produced PROJECT TEN: REAL STORIES FROM A FREE SOUTH AFRICA for South African TV. Fox’s most recent work MY REINCARNATION centres on an exiled Tibetan Master and his son and took her 20 years to complete. Born in Sydney, Mark Lewis completed his studies in economics before graduating as a director from the Australian Film School. His comical natural history documentaries take as their topic the complex and occasionally amusing relationship between man and animal. He thereby tackles one of the strangest of all life forms – the human being. His characteristic, irony-loaded conveyance of the facts has audiences rethinking their attitude towards animals, both small and large. Mark Lewis’s CANE TOADS: AN UNNATURAL HISTORY (1988), THE WONDERFUL WORLD OF DOGS (1990) and THE NATURAL HISTORY OF THE CHICKEN (2000) have become household titles. His work has earned him numerous prizes, including three Emmys, a British Academy Award and a Directors Guild of America Nomination. US-American Chris Paine – co-founder of Mondo-tronics, which provided NASA’s Pathfinder mission with robots, and creator of the online Internet service Outfitters – first attracted attention with his 2006 documentary film WHO KILLED THE ELECTRIC CAR? The film portrays the development of electric cars in California and their demise. 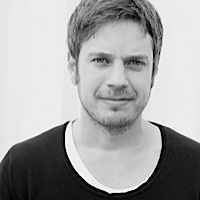 Paine previously worked as a producer on Mark Neale’s documentary films ASTER (2003) and NO MAPS FOR THESE TERRITORIES (2000). He also assisted Michael Tolkin with THE NEW AGE (1994). REVENGE OF THE ELECTRIC CAR and CHARGE!, a film about an electric motorbike race on the Isle of Man, are projects planned for 2011. Paine recently began the Narrative War Room project about the oil disaster in the Southern States. Born 1949 in Zagreb, Nenad Puhovski studied sociology and philosophy with parallel studies in film and television directing. His documentary films DEAD HARBOUR (1976) and BORDERLINE OF HUNGER (1994) highlighted social issues. The visual arts form another of his focal points (e.g. IN QUEST OF SUTEJ, 1981). In 1996, Puhovski founded Factum, which soon became Croatia’s most influential documentary film production company. 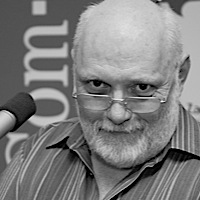 In 2004, he organised the ZagrebDox documentary film festival. Puhovski is the founder and head of the directing and production of documentary films master’s programme at the Academy for Drama Arts in Zagreb, and an internationally sought-after jury member. He received the 2009 EDN Award for his comprehensive contribution to documentary film in Europe. Born 1959 in Biel, Heidi Specogna attended the journalist’s school in Zurich and worked for various Swiss-German media companies. She studied at the Deutsche Film- und Fernsehakademie Berlin from 1982 until 1988 and has instructed in documentary filmmaking at the Baden-Württemberg Film Academy since 2003. Latin America is one of Specogna’s favourite topics: she portrays the guerrilla fighter Tamara Bunke in TANIA LA GUERILLERA (1991) and tackles the Tupamaros guerrilla movement in TUPAMAROS (1996). Specogna has received the Swiss Film Award, the Coral-Award at the Festival Internacional del Nuevo Cine Latinoamericano in Havanna and the Adolf Grimme Award. She was also nominated for the German Film Award. 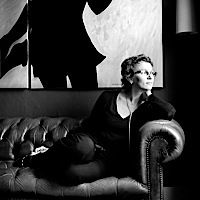 Heidi Specogna is a member of the Swiss and German film academies.